Do people speak English there? 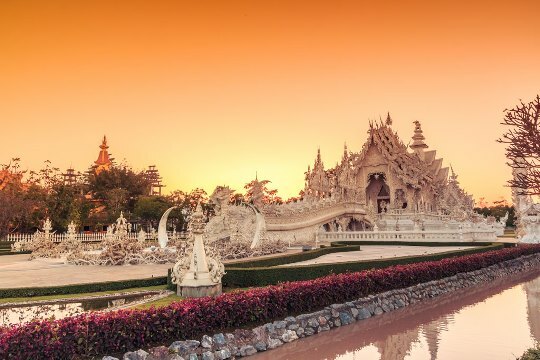 English is very widely spoken in the tourist destinations and you can enjoy a great holiday here without knowing a word of Thai. However as Nelson Mandela himself says, "Speak to me in a language I understand and you speak to my head; speak to me in my own language and you speak to my heart" - so a few words can get you a long way and you might end up not parting with too much cash for that plastic elephant memento. Grab a phrase book and learn the basics - it's amazing how far you can get with a "Hello, yes, no, how much, please, thank you, you are very beautiful!" When is the diving season in Thailand? Tourist high season is from November to April. Whether you are coming here for diving or not, we recommend you try to come from February to April. The weather is at its best, there are fewer tourists here, accommodation is much better value-for-money, and the seas their calmest. 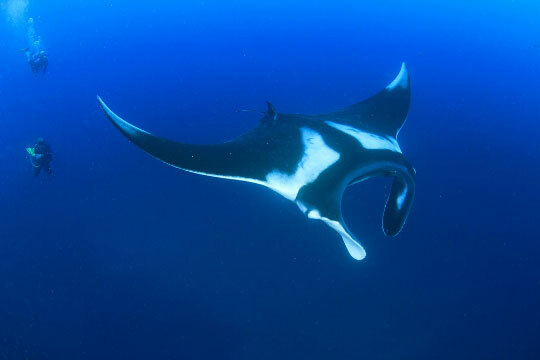 The dive sites around the Similan Islands are less crowded, and it's your optimum time to see something special on your Phuket scuba liveaboard trip, as it's whale shark and manta ray season. November to April is the best time for diving in Phuket, Krabi, Phi Phi Islands and Khao Lak. 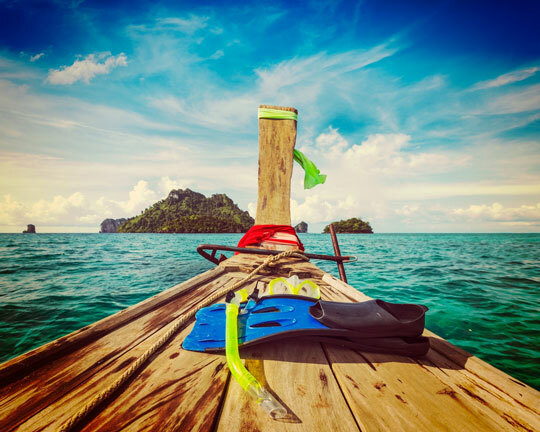 March to September is however the best time to be diving Koh Samui in the Gulf of Thailand so there is always a good time of year to scuba dive in Thailand. 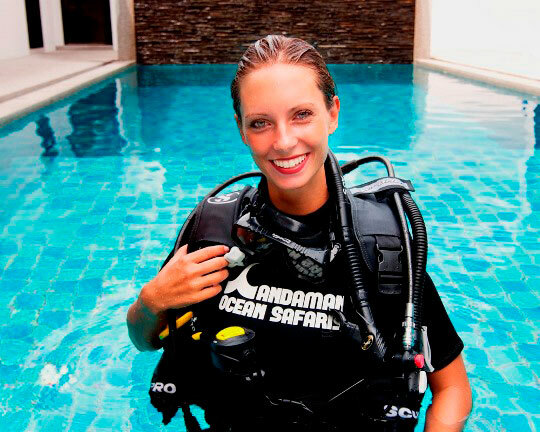 Can I book my own private dive guide? Sure you can. 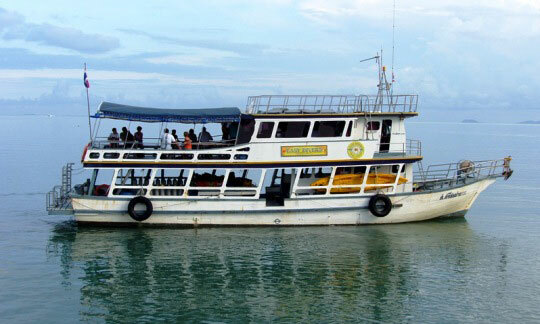 Local guides are provided on all the local day trip boats. However, these guides look after all the divers on the boat and some guests prefer more personal attention. 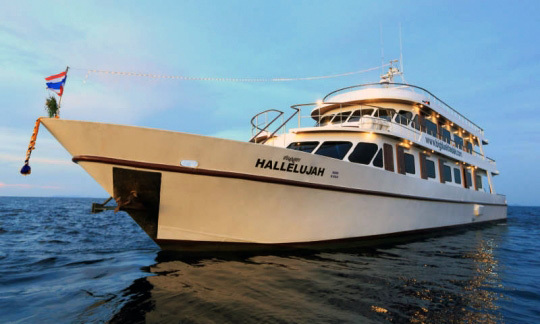 We can arrange a private dive guide just for yourself or for you and your party. Many guests have a feeling of greater safety when diving with their own guide and they may be able to spot more interesting marine creatures that way too. Is it true you provide free dive insurance? Yes it is true! This offer is open to you if it is your first time booking with us and the value of your booking is at least USD 1 000. You will be covered for diving accidents during the period of your booking. 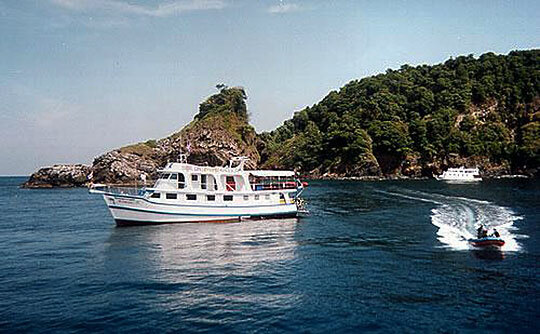 Is there good scuba diving in Phuket itself or further afield? The good diving isn't right off the beach here (although there are some very nice sites not far from the shores of the island). 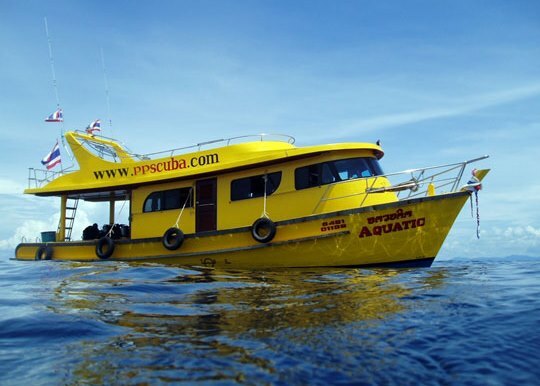 Mostly however, people go on scuba day trips to the best sites like Kingcruiser Wreck, the Racha Islands and Shark Point as well as Phi Phi and beyond. 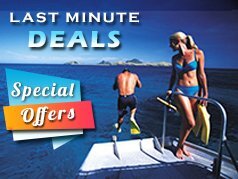 There is enough good local diving to keep you amused for 5 or 6 days but if you want the cream of diving in Thailand then a liveaboard to the Similans or beyond into Burma is where you really should go. How do I get to Phuket? The island is located in the south of Thailand, on the Andaman Sea coast of the Thai - Myanmar - Malay peninsula. Phuket International Airport has direct flights to/from Kuala Lumpur (Malaysia), Singapore, Hong Kong, and Bangkok. Flights from Bangkok with Air Asia (www.AirAsia.com), Thai Airways (www.ThaiAir.com) and Bangkok Airways (www.BangkokAir.com) are daily, almost hourly, and take just over 1 hour. Return flights cost around US$ 150. There are also daily bus and train services that run between Bangkok and Phuket, providing a cheaper means of getting here. They are however, depressingly slow (12 hours). Are there taxis at the airport? 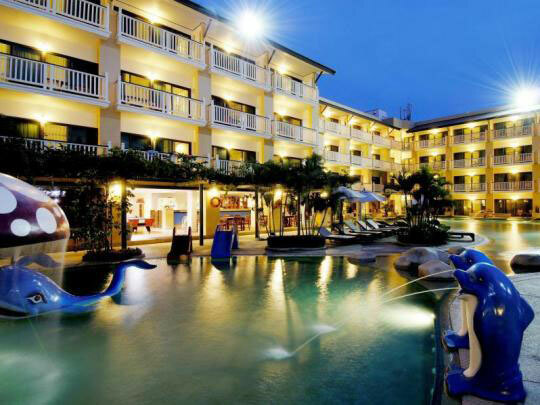 The airport is about 40 kilometres from Patong Beach, and a 45 minute taxi journey. We can arrange airport transfers for you from US$ 20 each way. Phuket also serves as the main gateway to Koh Phi Phi and Khao Lak, as well as a nearby alternative to Krabi Airport. 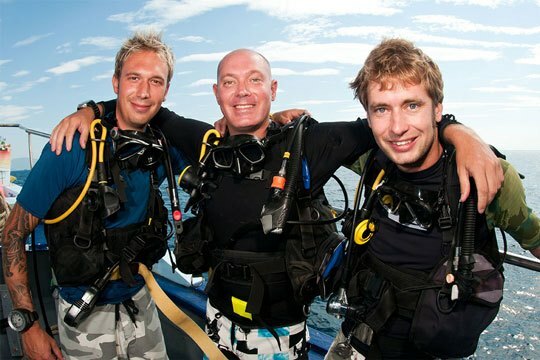 I booked a course with Dive The World, where do I go? 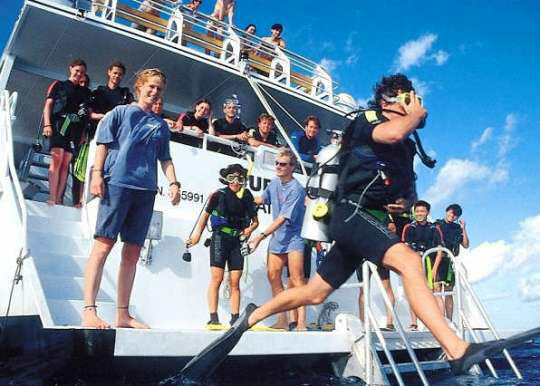 We use the top class facilities of Andaman Ocean Safaris to perform our PADI diving courses. 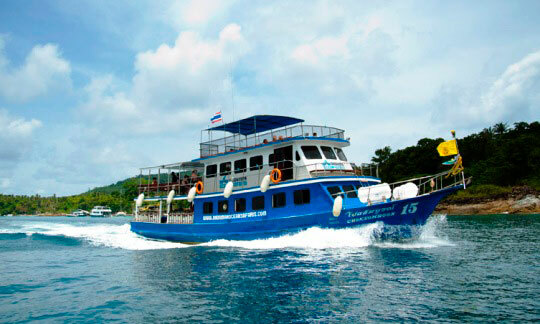 Andaman Ocean Safaris can be found at 48/26 Moo 9, Chalong, Phuket. All transfers are provided during your course so you shouldn't need to worry about finding the centre. But in cae of emergency, you'd take the pier road from Chalong Circle and then take the first left into a side street (before you reach the pier complex). 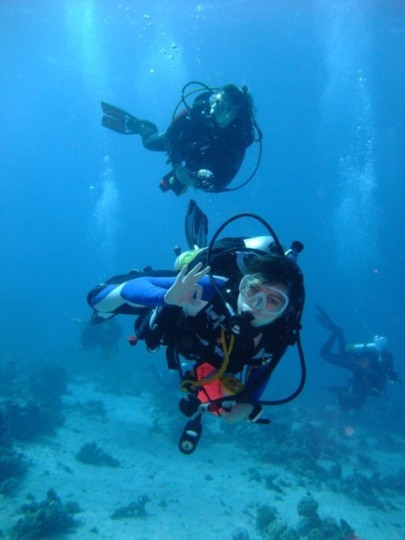 Is there much to do except diving in Phuket? 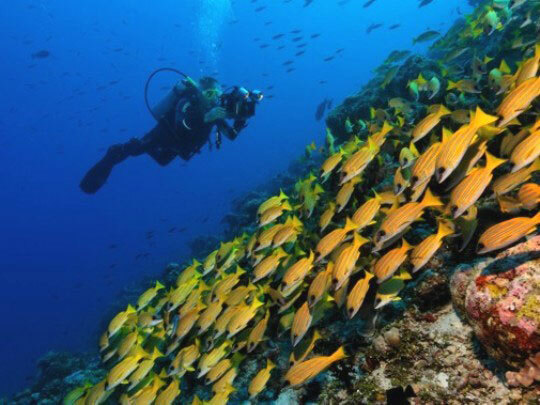 There is plenty to do for both non-divers and divers taking a break from the underwater world. Read all about it in our Phuket tourist information section. 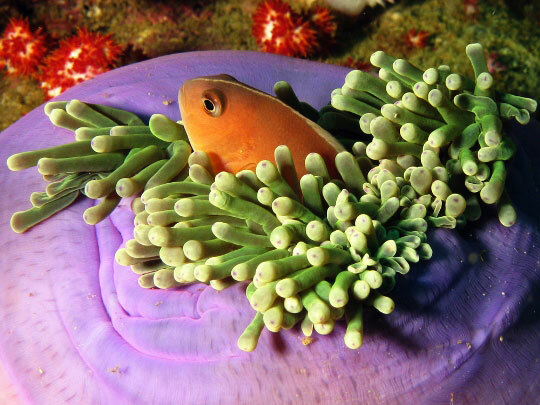 What about diving in Koh Samui? 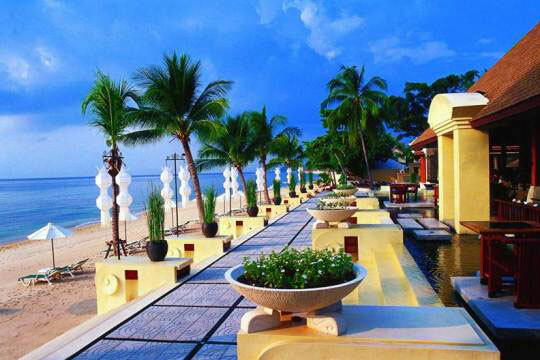 Koh Samui is the largest island in the Gulf of Thailand and has many top class hotels. The diving is generally not as good as Phuket or the Similan Islands, but in the summer months, when the Andaman coast has its low season, Samui is a good bet for day trips to several famous dive sites. For more details about getting there and what to do, see our Koh Samui tourist information section. Can you arrange accommodation for me? 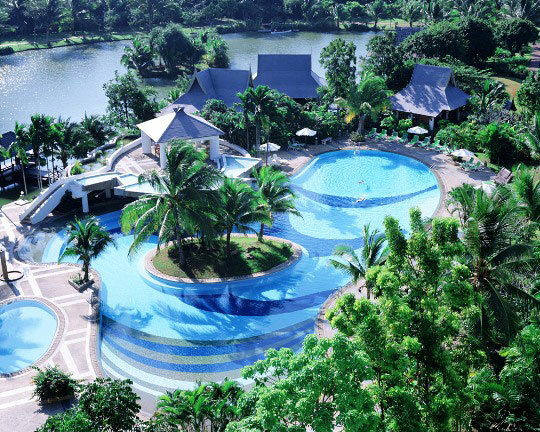 From 5-star beach resorts to low-cost hotels and lodges, there's something to suit everyone's taste and needs. And you can be certain that whatever option you select, it will be backed up with their 'Low Price Guarantee', ensuring you will always get top-dollar value for money. Occasional trouble in the south of Thailand - does that affect your areas? There is trouble in the south of Thailand but if you look at a map of the country you will see that the 'deep south', where there are incidents of unrest, is a long way from Phuket and Krabi provinces. The restive states are those bordering Malaysia which see very little tourist activity and there has been no proof to date that foreign nationals are seen as a target by those seeking independence from the kingdom of Thailand. In other words - no. Is there any good wreck diving in Thailand?